Fire Security offers cable fireproof coating, cable life extension and jacket repair of electrical cables. Since 1986 Fire Security has been developing the highest quality fire protection coatings for electrical cables, cable tray fire protection, passive fire protection, and fireproofing services. We repair damaged cables, use cable coating to protect spliced cables and provide cable life extension for industrial plants, tankers and oil rigs. No other cable coating system in the world has equal or better fire protection properties. Our intumescent coating FS1 and the ablative coating FS5 are able to upgrade any existing cables to the highest fire technical standard. Read more. The FS5 coatings system can upgrade your cables and extend the lifetime by up to 3 times. No other fire protective cable coating is approved as resistant to UV, water, mud, oil and a wide variety of damaging chemicals. Read more. We can repair cable sheaths that are damaged by UV, Oil, Mud and Mechanical stress. The coating will restore the cable value, prevent future damage to cables and cable jackets and eliminate the need for large-scale replacement. Read more. Total Exploration & Production, a branch of TOTAL Group, has used since 1998 Fire Security expertise in cable protection and repair on various sites ranging from the North Sea through Middle East to Indonesia. We are pleased to give Fire Security and their coating systems our best recommendation. Fire Security products are used in a variety of engine room space, specifically the separator rooms, incinerator flat, emergency generator and azipod rooms. Carnival contracted with them to complete the remaining vessels in our fleet. Carnival is very pleased how Fire Security assisted our company in these various projects and can offer Fire Security and their coatings our highest recommendation. Since 2004, Fire Security Middle East has successfully executed several turn-key projects for fire protection of DUBAL’s critical electrical & instrumentation cables. Fire Security Middle East has successfully completed all of these projects to the full satisfaction of ourselves and our insurers without accident or loss time incident, nor has there been any shutdown of production as a result of their work. Elkem has done business with Fire Security since 1986 on several fire protection projects over the years. In co-operation with our insurance company we have reached a secure level for preventing and minimizing fires and the spreading of fires at the plant. During these years we have also experienced that a fire in our cabling was stopped when it reached the cables protected with fire paint. We here on the Cajun Express are very pleased with the cable coating job that your company has performed for us in the sack room. The job was carried out in a very efficient and professional manor. I would recommend your company to any one of our rigs that may be having similar problems as we had. Again I would thank your company for a job well done. In August 2005 we experienced a fire in the main engine room on board one of our vessels. Lighting fixtures and smoke detectors melted completely but the cables were found to be in normal working order and there was no need for any cable replacements as result of this incident. We are pleased to give Fire Security and their coatings our best recommendation. We conduct fire protection for offshore installations, industrial plants, cruise ships and passenger ferries. 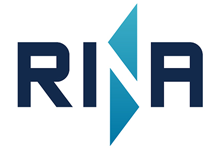 Fire Security is a Norwegian Company and the only cable-coating producer offering a turnkey operation by specially trained personnel worldwide. 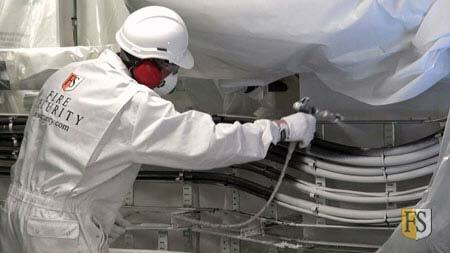 We use intumescent coating for interior cables and ablative coating for both exterior and interior areas. Our cable coating systems will guarantee that your cables will function properly during a fire and be reusable afterwards. By protecting cables and cable trays we also contribute to reducing the risk of structural damage and loss of lives. Fire Security has the expertise if your company needs a consultation regarding fire protection options on new cables or if your existing cables and splices are aging prematurely and fireproofing would be beneficial for economical and safety concerns. Uncoated electrical cables may experience a short circuit after less than two minutes in an oil fire, while FS coated cables function up to one hour without a short circuit. The intumescent FS1 fire protection cable coating will expand up to 100 times its thickness during a fire and protect cables in fire temperatures up to 1100° Celsius. At a temperature of approximately 220° Celsius or by direct flame contact, the intumescents produce a light char, which is a poor conductor of heat, thus retarding heat transfer. 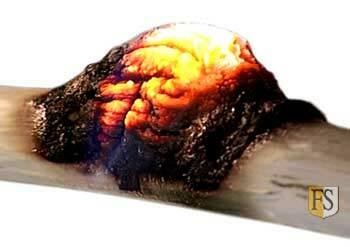 Hydrates within the coating are spent during a fire, water vapor is released, which has a cooling effect. The intumescent coating delays the ignition and prevents fire spreading. FS 1 after drying is viscous elastic, virtually odourless and environmentally friendly. Fire protection, repair and lifetime extension of electrical cables by utilizing Fire Security’s coating system, including sales, marketing and inspections related to this. FS cable coatings are recommended by insurance companies for many industries and most cruise operators specify this protection when ordering new vessels. The intumescent coating FS1 and the ablative coating FS5 have excellent fire protective qualities, they are water based and do not present any health hazard. 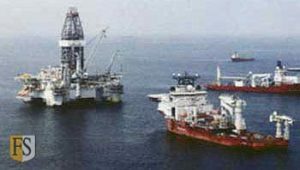 Fire Security does cable protection worldwide for Transocean on some of their most modern rigs. We also have customers such as Total, Shell, Pemex, Petronas, BP, Statoil, Dolphin, Seadrill, ConocoPhilips, GASCO, Chevron, Egyptian-Drilling-Company, Pertamina and many more. Fire Security also serves clients in industries like cement, aluminium, and water conservation. Since 1997 Fire Security has protected all vessels delivered to Royal Carribean Cruise Line and Celebrity Cruises. We have a contract with Carnival Corporation to fire protect electrical cables on their brands, which includes all vessels for AIDA, Costa, Holland America, Seabourn, Princess, P&O, Cunard, Carnival Australia and Ibero, more than 100 vessels altogether. Our FS cable coating systems have been approved by DNV-GL, NMD, ABS, RINA, The US Coast Guard, FM, Lloyds, and Achilles. A standard IEC 60331 fire resistant cable can only withstand 830° C (1526° F) in a fire situation, while FS coated cables can survive a hydrocarbon fire of 1100° C (2012° F) for up to 90 minutes – without any problem to the insulation or the electrical properties of the cable. Why Choose Fire Security Fireproofing Services ? FS1 and FS5 cable coating will significantly contribute to your fire safety. We can repair and upgrade damaged cables to meet the highest standards. FS cable coating systems have been tested under tough conditions for many years. 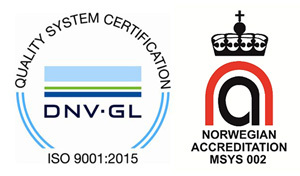 Fire Security is certified by DNV-GL according to the Quality Management System standard ISO 9001:2015. We deliver a turnkey solution: Site survey, Application, Inspection, Certification. FS1 fire protective cable coating will expand up to 100 times its thickness during a fire. 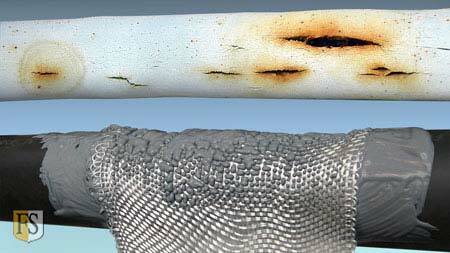 FS coatings will protect your cables during an oil fire for up to 90 minutes. Fire Security has a worldwide network of agents in addition to our offices in Norway, USA, Mexico, Brazil, UAE and Indonesia. Our customer list includes the world’s largest drilling and oil companies, cruise operators and land-based industries. Read more, or download our PDF. DNV-GL, NMD, ABS, US Coast Guard, Achilles, FM, UL, RINA and Lloyds. FS cable fireproofing is the preferred solution in many industries worldwide. Cable Coating is one of the most economical and maintenance-free ways to protect cables from fire in electrical equipment, substations, cable galleries, cable spreader, control rooms and other high density cable areas. It is totally reliable because there are no electrical or mechanical activating devices to fail, no human error to be concerned about, no tanks to refill and no regular maintenance. For some clients we do inspection every 2-3 years to validate warranty, and conduct a 10 years re-certification. We deliver cable coating as a turnkey solution starting with a site survey including a report and a price quote, followed by the application and ending with inspection, documentation and a certificate upon completion of the job.